On July 19, Parliament approved in a final reading a law bringing substantial amendments to the Moldovan Civil Code. 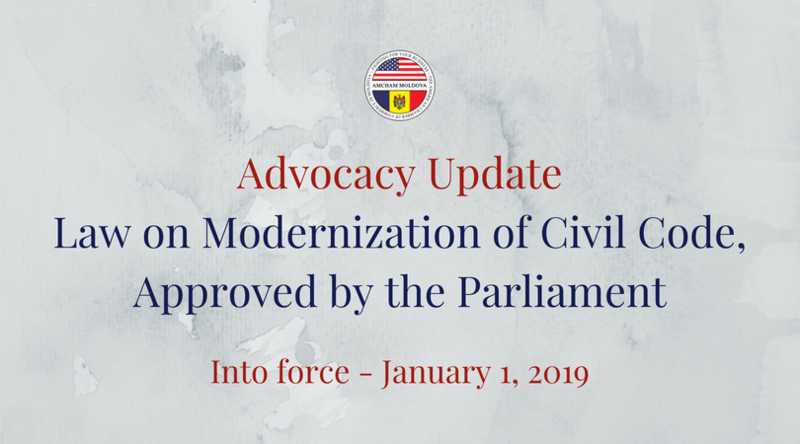 The document is known as the Law on the Modernization of the Civil Code and will come into force on January 1, 2019. AmCham has contributed to the improvement of this law during a public consultation process, bringing forward recommendations related in particular to the regulation of leasing, insurance, mortgages and pledge contracts; and also the regime of electronic agreements.